The conceit is nature is punishing humanity in the form of climate-change induced disaster. Except climate change does not appear to be the primary culprit of what is California’s most severe drought in the last 1,200 years. Scientists say the rainfall is “anomalously low—yet not unprecedented.” What’s making the drought exceptionally harsh is the added effect of a warming planet, which is drying out the soil. However, climate change is not a one-way cause and effect. For example, the entire Southwest will be afflicted with more frequent, intense and longer-lasting droughts, but California’s Northern Sierra Nevada watershed “may become wetter and … somewhat less drought-prone” over time. Like the weather, climate change does not respect borders. The crisis may be most visible in California as reservoirs evaporate and lawns brown, but, as some point out, “this drought is America’s.” As such, the tendency to condemn California tells us more about U.S. society than the natural world. Believing the mega-drought signals the end of California is a form of secular end times. Much of the reaction is a mishmash of Christianity and pop culture that’s distinctly American. There is the puritanical disapproval of California’s hedonism. The idea of a cataclysmic rupture draws as much from Hollywood as it does from religious and political thought. Some also believe there will be tribulations, a staple of Sunday sermons and science fiction alike: Everyone who enjoyed the Edenic fruits of California will be thrown into a post-apocalyptic wasteland, and our salvation lies in returning to our eco-communal roots. The problem with this thinking is imagining the apocalypse to be a singular event rather than a process. The apocalypse is already upon us; we just don’t notice it from our privileged perches. The effect of extreme weather is relatively modest over a continent-sized nation of 319 million. Record floods, hurricanes, and wildfires are caused as much by habitat loss, sprawl, and environmental mismanagement as by a destabilized climate. Add in invasive species, pollution, and deforestation, and this explains why the sixth great mass extinction in Earth’s history is now underway. But because the natural world we depend on is evermore synthetic and managed, we don’t experience this loss in our daily lives. Plus even if we mustered the effort to dial back global warming, there are at least seven other ecological crises degrading the biosphere. More Californians are affected by the housing crunch and low wages than water cuts. Far from collapsing, the population of California is increasing and the real estate market from Los Angeles to San Francisco is going “bonkers.” Water cuts could instill a sense of shared responsibility but they are more political theater than conservation thus far. Leaving aside the fact that 80 percent of human water usage in California is for agriculture, the reductions are being filtered through the market. Last year some wealthy enclaves used more than 10 times as much water per person—keeping their swimming pools full and grass emerald green—than low-income areas where residents have taken to skipping showers and eating on paper plates to hold down rising water bills. California has been reducing water consumption for years because of recurrent droughts. In February the state’s 39 million residents consumed an average of 76.7 gallons per day, one of the lowest rates of water usage in the country. Yet Amsterdam uses half that amount of water per capita, 38.3 gallons per day. California can still conserve tremendous amounts of water in the agriculture, industrial, and residential sectors without impacting the quality of life. The same is true of the United States, which with its wealth and space can adapt to climate change much easier than low-lying countries like Bangladesh, Andean regions dependent on rapidly disappearing snowpack for freshwater, and equatorial regions in Africa that may become uninhabitable as temperatures soar. These areas have crossed the post-apocalyptic threshold, but even there the effects are highly uneven based on access to resources and wealth. Believing nature will impose a solution is politically misguided. It wipes away the varied social impacts as well as the innumerable choices being made to perpetuate and profit from the crisis. The apocalyptic mindset also negates political action. We will not all be turned into modern-day Joads fleeing dead lands for greener pastures. Climate change may be sped up on a geological scale, but for most humans the apocalypse will be normalized as gradual shifts. 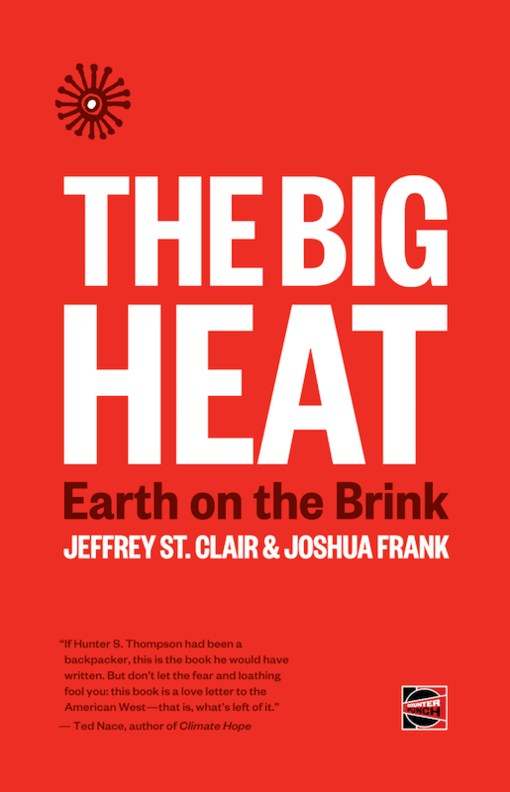 Climatic events no matter how devastating will be used as opportunities for capital accumulation, as in Hurricane Katrina or the 2004 Tsunami. Reformist solutions are essential to slowing climate change in the coming decades because social and political movements will need decades under the most optimistic scenarios to build the power to engineer a sustainable and just global economy. So limiting greenhouse gases will happen through market mechanisms like green-energy subsidies, credits, carbon caps, trading, and taxes, just like the water cuts in California. The costs will be imposed on those who have the least responsibility for climate change and the least ability to afford them, whether in San Francisco or Sub-Saharan Africa. The California drought is a chance to build dual power that can undermine the control of capitalist states over resource production, distribution, and consumption. There will be many climatic crises to come, and each one should be seen as the beginning of an opportunity, not the end of the world. A shorter version of this article was originally published by Telesur English.